You are here: Home / DWI / DWI Lawyer Answers: Should You Take A Breathalyzer? Further, I have gone to lectures by DWI Attorneys with a lot of grey in their hair that say you can never trust these machines. It is voodoo science. I also have friends on the police force that would probably bet their first born child that the machines are accurate no matter what. It is an argument I can (and have) made from either side. I know the pros and cons to them both and ultimately it is up to the Judge or Jury to make the call. But, there is something that I can tell you about for sure if you do not blow – Missouri’s Implied Consent Law. By signing up to get your driver’s license in Missouri, you are agreeing to the Department of Revenue’s (DOR) rules for your privilege (not your right) to drive on their roads. In the most simple of terms Missouri’s Implied Consent says that if you refuse to give a sample, the Missouri Department of Revenue will take your license for one year. Should you blow? Can you go a year without your license? My wife says I really piss her off by answering questions with questions. There is no simple answer in this situation. The best answer? Do not drink and drive and put yourself in that situation. But things happen and that is why I have a job. To help people out in these situations. I have clients that have blown and clients that have not blown. We deal with it. Life will go on. I deal with the facts as they come and there is no perfect case. There has been a recent ruling handed down by the Western District of Missouri Court of Appeals that deals with this issue in an interesting way. What happens if someone pretends to give a breath sample? In Travis Rader v. Director of Revenue the suspected drunk driver was arrested for Driving While Intoxicated in Callaway County, Missouri. The Missouri Department of Revenue took his license for one year after what the DOR says was a refusal. Mr. Radar said that DOR did not have enough evidence to show that he refused a breath test because he attempted to blow in the machine three times. The Officer observed that Mr. Radar had his upper lip cover the mouthpiece on each of the three occasions and that Mr. Radar was faking the breath test. In this case, Mr. Radar said the first two were fulfilled by the DOR, but they did not prove the last point because he tried to give a breath sample three times. That issue is decided by the trial court. In this case, the Judge said that the Officer was convincing when the Officer said Mr. Radar was faking it. The real life rule that came out of this is this: Don’t try to fake blowing. It will not work out for you and it will make things worse. If you are going to give a breath test, do it. 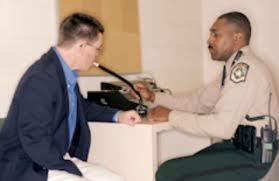 If you are not going to give a breath test, don’t do it. Do not try to outsmart someone when you are drunk and they are not. Put National and State award winning DWI Lawyers who are former Greene County Prosecutors to work for you. We have three decades worth of experience as attorneys in the Greene County Courts, and we want to help you with your legal issues. Contact our team today!